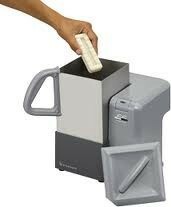 The Stratasys wavewash55 wash station allows you to easilly remove the support material from your printed FDM model. A compact, easy-to-use support cleaning system. 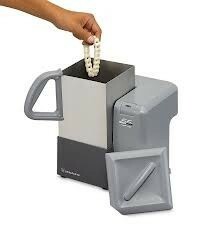 Stratasys WaveWash 55 lets you quickly remove support material hands-free. The Mojo 3D Printer uses Soluble Support Technology (SST) so that the support material dissolves away in a water-based solution. You just pop your completed concept model off the modeling base and place it in the WaveWash 55 which maintains the right solution temperature and agitation for efficient support removal. No plumbing required and the soloution can be used multiple times before pouring away is required via a standard domestic waste / sink.